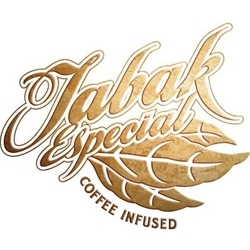 Tabak Especial is a top selling coffee infused cigar line produced by Drew Estate. Each of these cigars are hand-crafted using Nicaraguan tobaccos blended with the essences of rich coffee flavors. Tabak Especial’s come in two unique wrapper styles, Dulce & Negra. The Dulce uses a light brown Connecticut Shade that offers a mild and smooth tasting smoke, while the Negra is wrapped in a dark rich Maduro broadleaf producing a more robust spicier note to each smoke. Tabak Especial by Drew Estate are hand-rolled premium cigars that make an excellent choice for any cigar connoisseur. Smokers Discounts has made it easy and affordable to buy premium cigars online. A variety of sizes and flavors are listed below at our discount online cigar store. Each of these styles are in stock and available. Call us for more details!